Analysts at stock brokerages in South Korea on Friday expressed positive views toward the appointments of chief executive officers at the country’s two biggest chipmakers, Samsung Electronics and SK hynix, suggesting favorable trends in their stock prices. 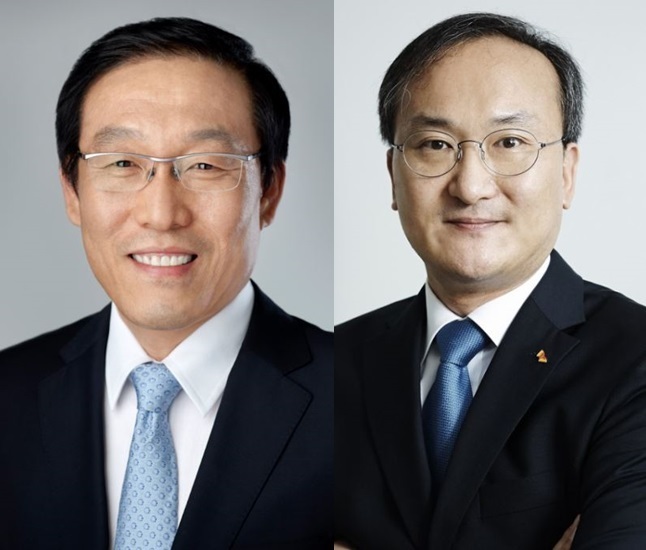 Kim Kyung-min, an analyst at Hana Financial Investment, said Samsung Vice Chairman and CEO Kim Ki-nam and SK hynix CEO Lee Seok-hee are expected to maintain the current supply and price strategies for their DRAM businesses. “The executive promotions wouldn’t have an immediate impact on stock prices, but they give positive signs that the companies’ DRAM businesses would keep in the current direction,” Kim said. The DRAM market has entered a weak season with demand for mobile products and hyper-scale servers on the decline, according to the analyst. “Samsung and SK hynix are refraining from increasing shipments in order to prevent rapid price falls,” he said. Samsung on Thursday promoted Kim, who was previously CEO of the company’s semiconductor division, to vice chairman in recognition of his leadership that led the chipmaker to record high operating profits throughout the year. SK hynix also announced the appointment of Lee, who was previously the chief operating officer, as the first new CEO in six years.